Lack of proper care, ill-fitting shoes and general foot neglect are responsible for the majority of foot problems. It’s important to understand your feet have direct impact on the rest of your body and support you with each step. A small abnormality in foot function can have a large impact on joints higher up in the body, causing pain and discomfort. 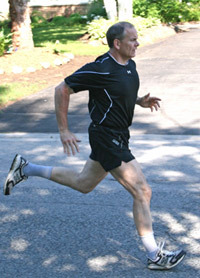 Dr. Jeff Lustig enjoying a run. When you are running, the pressure on your feet can be three or four times your body weight. Even walking can produce more pressure than the sum of your body weight. The American Podiatric Medical Association says that the average person takes 8,000 to 10,000 steps a day. That adds up to about 115,000 miles in a lifetime or more than four times the circumference of the globe. That is a lot of walking with ill-fitting shoes or painful feet! In some cases, foot ailments can be an early signal of more serious medical problems like arthritis or diabetes. Women have four times as many foot problems as men because they have a long history of wearing high heels and/or pointy toe shoes. Orthotics and proper shoe fit are very important aspects of foot health. 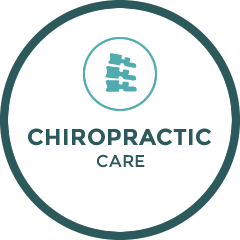 At Active Chiropractic & Wellness Centre, we are specially trained to provide custom orthotic solutions. Remember, if you’re experiencing pain or discomfort in your ankles, knees or hip joints, the direct cause may be the function of your feet or ill-fitting shoes. Contact us for more information. Does my insurance cover the cost of orthotics? Every insurance plan is different so it will depend on your coverage however most benefits plans cover orthotics. Please check with your insurance provider to determine how much coverage you have. Can you bill my insurance directly? In some cases, we can bill your insurance directly. We determine this on a case-by-case basis. If you would like us to bill your insurance company directly, we’ll need to contact your insurance provider directly which means we’ll need your name, contact information, plan number and health card number. If we determine we’re able to directly bill your insurance, we may ask that you leave a credit card on file with us in case your claim is denied for any reason. Do my orthotics come with a warranty? Will they fit in my shoes? Orthotics can be customized to fit into any shoe. We recommend optimizing your orthotics to fit the shoes you wear most often. If you routinely wear significantly different shoes, you may benefit from purchasing multiple pairs or orthotics. How long does it take for my orthotics to arrive? Although there is variability given wait times at the lab and shipping, we can’t guarantee an arrival date. Most orthotics arrive between 2 and 3 weeks from fitting. Do I need a medical doctor’s prescription for orthotics? You don’t require a prescription to purchase orthotics from Active Chiropractic & Wellness Centre. If you’re planning on submitting a claim to your extended medical benefits provider, they may request a medical doctor’s referral with your claim. If this is the case, simply make an appointment with your family doctor or visit a drop-in clinic and have them provide a prescription for you. What happens if my orthotics are uncomfortable? New orthotics will likely be uncomfortable for the first few days. We recommend gradually increasing the time in your orthotics so your feet slowly become accustomed to them. If after the break-in period the orthotic doesn’t feel quite right, we can send them back and make any necessary changes within 3 months of the manufacturer’s original shipping date. How often should I replace my orthotics? If you’re currently wearing orthotics, you should have your feet evaluated every year and you should have them replaced every 2-3 years depending on how much you’re on your feet.